Crafting beautiful books is at the heart of everything that Reedsy does. We're changing the way books are published by giving authors and publishers access to talented professionals, powerful tools, and free educational content. Reedsy was founded in the summer of 2014 by Emmanuel Nataf, Ricardo Fayet, Vincent Durand and Matt Cobb. Since then, we’re proud to have built a network of world-class publishing professionals and helped produce over 10,000 books. Publishers and authors trust us to provide them with quality talent. That’s why we only work with editors, designers, marketers, and ghostwriters who have experience crafting books that land on the New York Times bestseller list. Authors come to us from a range of backgrounds. Maintaining a diverse roster of professionals ensures that authors from all walks of life can find the right people to help. This is our challenge: to allow you to exercise your creativity by making sure our services are perfectly suited to your genre and budget. 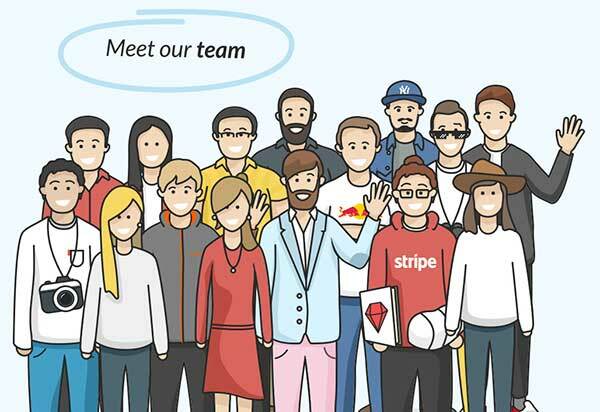 That’s why you will find that Reedsy professionals come from all across the globe: based in over 30 countries, they have worked with clients of all sizes and sensibilities. Our idea is simple: the more perspectives we can bring to the table, the more unique the books produced on Reedsy will be. We believe that in a world otherwise dominated by a mass-market culture, the need for a diversity of books is greater than ever. To see examples of books created on Reedsy, read our Author Stories. 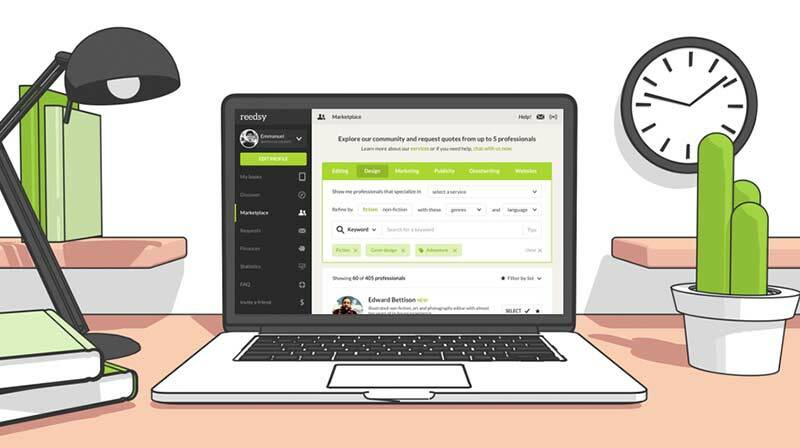 As you immerse yourself into our ecosystem, you will discover that Reedsy can help at every stage of your publishing journey. Whether you start writing with the Reedsy Book Editor, or polish your prose with assistance from the marketplace, we can provide the support you need to publish your story. For all writers, our blog offers insights into publishing and the writing craft. If you prefer video, you can watch a different publishing professional answer your questions via our Reedsy Live events, which we present every two weeks. And our Reedsy Learning courses are here to help any author through the learning curves in the publishing industry. We provide all these tools for free so that authors can learn and then concentrate on what they do best: writing. Reedsy is made possible thanks to the incredible professionals who have joined our network. They work from over 600 cities, covering most continents. We are strong believers in the power of remote work. The Reedsy team itself hails from over ten different countries and speaks as many languages. We’re entrepreneurs, designers, writers, hackers, bikers, engineers, runners, developers, soccer analysts, musicians, photographers, readers, travelers, gardeners, knitters, hikers, campers, and hard workers. And we’re here to help you. This project has received funding from the European Union’s Horizon 2020 research and innovation programme under grant agreement No 734046. We’re not just building Reedsy to make money and for the occasional feature in a renowned publication. After a few years building the company, it was important to us as founders to give back, which is why we started the #IWriteBecause campaign in May 2017. The campaign has reached over 6.7 million people to date and allowed us to donate to Room to Read, a non-profit organization that provides girls in Africa and Asia with access to education. If you have a general question for us, just drop us an email at service@reedsy.com. If you want to talk to someone in customer service, just log in to your account and hit the “Help!” button. We’ll get back to you right away. Lastly, if you’re just learning about publishing, please feel free to ask us anything you like, or say, “Hi,” on our blog. We won’t bite! You can also follow along on Twitter @ReedsyHQ, Facebook, Instagram @reedsy_hq and YouTube. Got a story of your own to tell? Bring your book to life by connecting with the best editors, designers, marketers and ghostwriters on Reedsy.